Salzburg – Camping in Salzburg. Maps of Salzburg, Photos and Reviews for each camping in Salzburg. 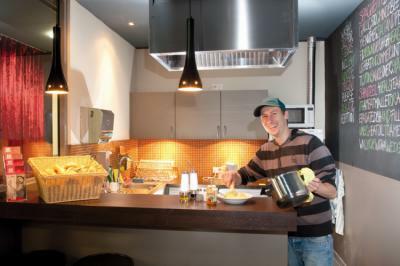 Looking for a hostel in Salzburg? Look no further, all the good deals in Salzburg are on Dorms.com. Like thousands of other people every month, book your hostel securely at the best price in all neighbourhoods of Salzburg. 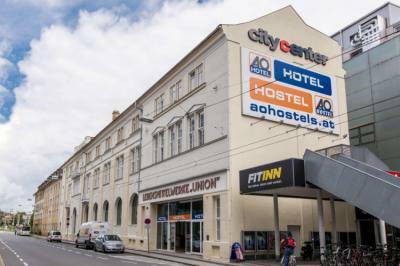 On this site, you can easily find a hostel downtown, in a trendy neighbourhood; a hostel in the student- university district, close to bus or train stations, airports or major attractions of Salzburg. Our A&O Salzburg Hauptbahnhof is only 500m away from the central station located and can easily be reached by public transport. From the hotel the city can comfortably be explored by foot. The hostel itself is in a central location with a number of notable landmarks nearby. Within 2.5 km are the Mozartplatz, the Festival Hall and the Getreidegasse where you can visit the birthplace of the musical genius, Wolfgang Mozart. the birthplace of Mozart in the Getreidegasse, the Mozartplatz and the Festival Hall. Despite putting our arrival time, when we arrived the room was not ready and we had to pay for leaving the luggage at the hostel. The room we had had a window on the roof and it was very hot. Otherwise, all good. Clean spacious rooms, next to the train station. There is a selection of food provided for the buffet which is nice. The Meininger has he feel of a hotel, but it&apos;s also a well-run hostel. The staff is helpful and polite. Towels are free and the wifi is fast. There&apos;s a bar that serves espresso and snacks. The dorm room had a separate bathroom and toilet. Each bunk had a power point and reading light. The kitchen was small but adequate. The common room was a good place to eat and talk. Unlike other hostels, the Meininger doesn&apos;t discriminate based on age. Very near from salzburg gningl station. Extremely friendly staff. Very good atmosphere though the sightseeing places are not so near but yeah you can take a walk till there. All in all a very nice experience. The staff was so helpful! Very happy and friendly people. They all speak perfect english which was great! Despite the location, the busses are convenient. The room was very clean and fancy. Very lively and extremely clean.